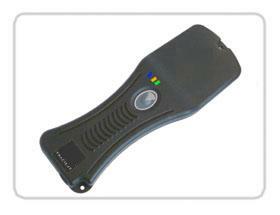 The RFID Blue Tooth Paddle Reader provides a smart combination of Interfaces for enterprise IT managers wanting to integrate RFID into their systems. The unit is ideal for the mobile workforce to track and monitor mobile assets and is readily integrated with a wide variety of Wireless handheld PDAs including Symbol, Intermec, HHP, Psion Teklogix, i-mate Jam, Ipaq and many more. Blue Tooth connectivity makes it a perfect retrofit option for businesses that want to add value to their investment in handheld technology. Access control, Asset tracking, Warehouse Management, and Livestock tagging etc.